Neuro Pain Consultants Providers Joshua M. Gitlin, M.D. 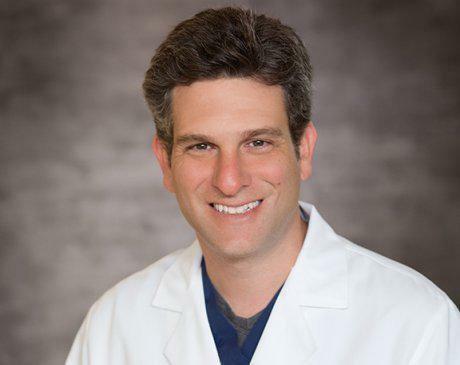 Joshua M. Gitlin, MD, is a highly qualified and board-certified anesthesiologist and pain management specialist at Neuro Pain Consultants in Bloomfield Hills, Michigan. His special interests include spinal cord injuries and compression, herniated discs, concussions, chronic and acute pain, carpal tunnel syndrome, and carotid stenosis. Dr. Gitlin obtained his undergraduate degree from Michigan State University, where he graduated with honors. He also served as a research assistant for the Department of Emergency Medicine at William Beaumont Hospital in Royal Oak, Michigan, while attending college. Dr. Gitlin earned his medical degree from Wayne State University School of Medicine. He returned to William Beaumont Hospital as a research assistant for the Department of Orthopaedic Surgery. He then completed three residencies, first serving as house officer for the Department of Surgery at Rush-Presbyterian-St. Luke's Medical Center in Chicago, then for the Department of Orthopaedic Surgery at William Beaumont Hospital, and finally for the Department of Anesthesiology and Critical Care at the University of Pennsylvania Health System in Philadelphia. Dr. Gitlin completed his post-doctoral training as a pain fellow at Henry Ford Hospital in Detroit. He is certified by the American Board of Anesthesiology.